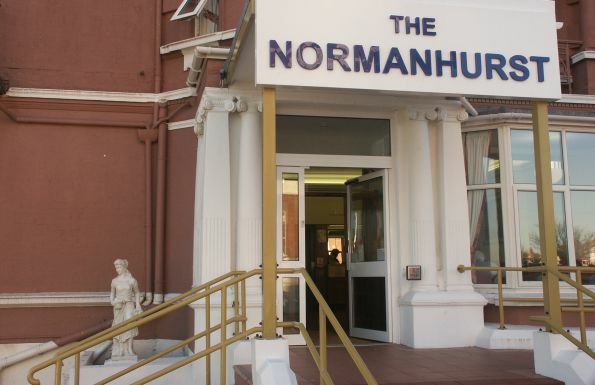 The Normanhurst caters for the active retired, elderly frail, post operative or mentally frail in the Residential Hotel, Nursing Home & EMI Home all on the same site. Our literature can, we feel, only give you a flavour of the lifestyle we are trying to achieve. We would be very happy for you to come and spend a day with us, with a companion if preferred, and see for yourself the advantages of life at the Normanhurst. If you are travelling some distance we will be happy to arrange an overnight stay, for which, of course, there will be no charge. Please contact us to arrange a suitable date for your visit. Electronic versions of our brochure, in normal and large print, are available for download in PDF format from here. However, all information should be included on our site.